"I knew the minefield was there," says Steven Spielberg, describing the storm of controversy over his new film "Munich." He has been attacked on three fronts, for being anti-Israeli, being anti-Palestinian, and being neither -- which is, those critics say, the sin of "moral equivalency." "I wasn't naive in accepting this challenge," he says about his film, which begins with the kidnapping and murder of 11 Israeli athletes at the 1972 Munich Olympiad, and follows a secret Israeli team assigned by prime minister Golda Meir to hunt down those responsible and assassinate them. "I knew I was going to be losing friends when I took on the subject," he told me during a phone conversation Thursday afternoon. "I am also making new friends." The film, which opened on Friday, had already generated fiery discussion from those who've seen it in previews -- or not seen it, but objected to the very idea of it. In his film, a character named Avner, played by Eric Bana, heads the assassination squad, and begins to question the morality and utility of his actions. Others in the film articulate a defense of the strategy of revenge. Spielberg says that his film deliberately supplies no simple answers. "It would make people more comfortable if I made a film that said all targeted assassination is bad, or good, but the movie doesn't take either of those positions. It refuses to. Many of those pundits on the left and right would love the film to land somewhere definite. It puts a real burden on the audience to figure out for themselves how they feel about these issues. There are no easy answers to the most complex story of the last 50 years." Spielberg said he has been particularly struck by charges that his film makes him "no friend of Israel." "I am as truly pro-Israeli as you can possibly imagine. From the day I became morally and politically conscious of the importance of the state of Israel and its necessity to exist, I have believed that not just Israel, but the rest of the world, needs Israel to exist. "But there is a constituency that nothing you can say or do will ever satisfy. The prism through which they see things is so profound and deeply rooted and so much a part of their own belief system that if you challenge that, you challenge everything they believe in. They say the film is too critical of Israel. The film has been shown to Palestinians who think it is too pro-Israel and doesn't give the them enough room to air their grievances. "I guess what I'm trying to say is, if this movie bothers you, frightens you, upsets you, maybe it's not a good idea to ignore that. Maybe you need to think about why you're having that reaction." Spielberg, who is the most popular filmmaker in modern history, has regularly chosen to make serious and thoughtful films, some of limited appeal, along with his box-office blockbusters. It is striking that the director of "Jurassic Park" (1993) and the Indiana Jones movies is also the director of "Schindler's List" (1993), "The Color Purple" (1985), "Amistad" (1997) and now "Munich." "Some of my critics are asking how Spielberg, this Hollywood liberal who makes dinosaur movies, can say anything serious about this subject that baffles so many smart people. What they're basically saying is, 'You disagree with us in a big public way, and we want you to shut up, and we want this movie to go back in the can.' That's a nefarious attempt to make people plug up their ears. That's not Jewish, it's not democratic, and it's bad for everyone -- especially in a democratic society." Yet what is he saying that has people so disturbed? Careful attention to the film itself suggests that it's not so much what he says as that he dares even to open up the Middle East for discussion. "My film refuses to be a pamphlet," Spielberg said. "My screenwriter Tony Kushner and I were hoping to make it a visceral, emotional and intellectual experience, combined in such a way that it will help you get in touch with what you feel are the questions the film poses. He said he was taught by his parents, his rabbi and his faith that discussion "is the highest good -- it's Talmudic." But what about the issue of "moral equivalence," the charge that he equates the Israeli and Palestinian causes, when the rightness of one (or the other) is seen as not debatable? "Frankly, I think that's a stupid charge. The people who attack the movie based on 'moral equivalence' are some of the same people who say diplomacy itself is an exercise in moral equivalence, and that war is the only answer. That the only way to fight terrorism is to dehumanize the terrorists by asking no questions about who they are and where they come from. "What I believe is, every act of terrorism requires a strong response, but we must also pay attention to the causes. That's why we have brains and the power to think passionately. Understanding does not require approval. Understanding is not the same as inaction. Understanding is a very muscular act. If I'm endorsing understanding and being attacked for that, then I am almost flattered." In "Munich," there is a scene where Ali, a member of the Black September group that carried out the 1972 attacks, talks about his idea of a Palestinian homeland. Also a scene where Avner's mother, an original settler in Israel, defends their homeland. And a scene where an Israeli spymaster, played by Geoffrey Rush, provides a strong response to Avner's doubts. "The whole Israeli-Palestinian idea of home suggests that there are two enormously powerful desires in competition," Spielberg said. "Two rights that are in a sense competing. You can't bring that to a simplicity. The film is asking you to surrender your simplicity on both sides and just look at it again. There was an article in USA Today by a Los Angeles rabbi, accusing me of 'blind pacifism.' That's interesting, because there is not any kind of blind pacifism within me anywhere, or in 'Munich.' I feel there was a justified need to respond to the terrorism in Munich, which is why I keep replaying images of the Munich massacre throughout the movie. "In 1972, when Black September used the Olympics to announce themselves to the world, they broke all the rules and broke the boundaries of that conflict. Israel had to respond, or it would have been perceived as weak. I agree with Golda Meir's response. The thing you have to understand is, Munich is in Germany. And these were Jews dying all over again in Germany. For Israel, it was a national trauma. The Avner character, in the end, simply questions whether the response was right. "Sometimes a response can provoke unintended consequences. The Rush character and Avner's mother reply. But people feel my voice is represented in Avner. The movie says I don't have an answer. I don't know anyone else who does. But I do know that the dialogue needs to be louder than the weapons." 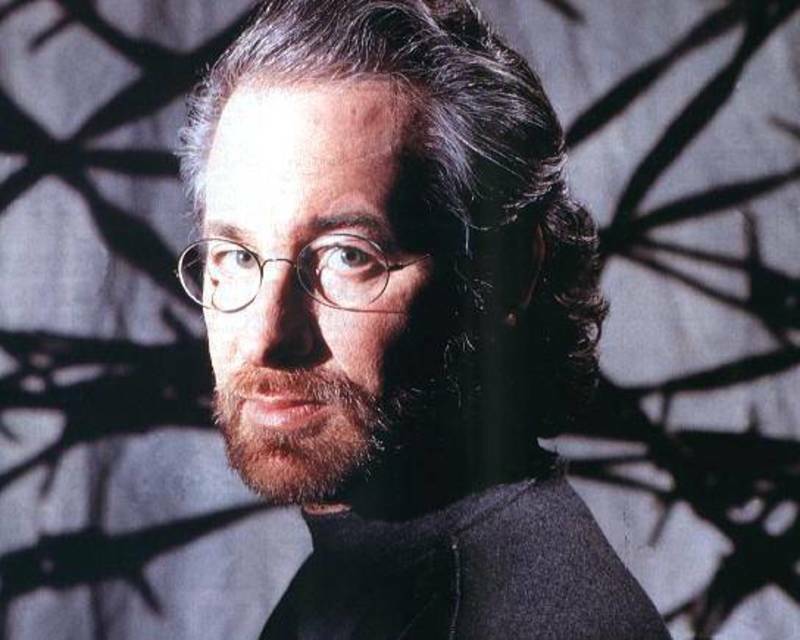 Spielberg, a onetime boy wonder who directed his first commercial project at the age of 22, is now 59. "I guess as I grow older," he said, "I just feel more responsibility for telling the stories that have some kind of larger meaning. Most of my movies sum everything up. I try to make movies to give audiences the least amount of homework and the most amount of pleasure. The majority of my movies have done that. But as I get older, I feel the burden of responsibility that comes along with such a powerful tool. I certainly have made movies by popular demand. There is a distinction between movie-making and filmmaking. I want to do both." He repeated that he was wounded by the charge that he is "no friend of Israel" because his film asks questions about Israeli policies. "This film is no more anti-Israel than a similar film which offered criticism of America is anti-America," he said. "Criticism is a form of love. I love America, and I'm critical of this administration. I love Israel, and I ask questions. Those who ask no questions may not be a country's best friends." Is the Middle East without a solution? I asked. Will there be an endless cycle of terror and reprisal? What about the startling fact that Israel's entrenched political enemies, Ariel Sharon from the right, and Shimon Peres from the left, have resigned from their parties and joined in a new party that says it is seeking a path to peace? "What I believe," Spielberg said, "is that there will be peace between Israelis and Palestinians in our lifetimes."